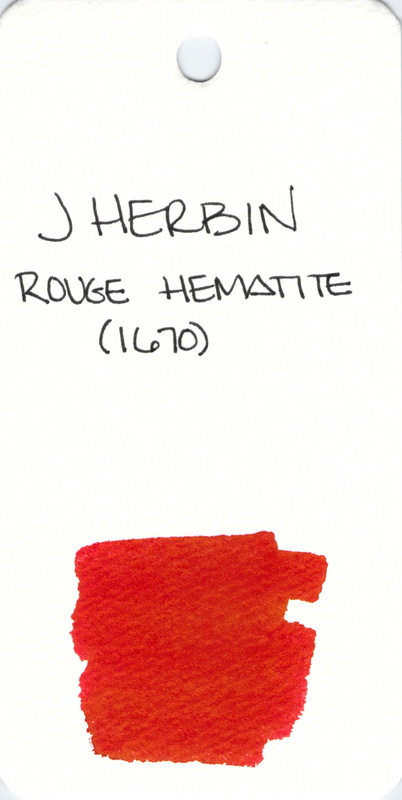 A quick look at the super-duper popular Rouge Hematite from J Herbin. This ink has gold flecks in it. I did this swab without first shaking the bottle so we can see the color of the ink and not just the gold flecks. Not that there’s anything wrong with gold flecks. Some people avoid this and Stormy Grey because the flecks can make this a high-maintnance ink. I’m willing to put up with the extra effort for the extra omg-factor. You? This entry was posted in INKS and tagged ink swab, j herbin, red by Christine (Pentulant). Bookmark the permalink.